When you are going to buy a new condenser microphone, you’ll see a wide variety of microphones spanning a vast range of prices. The surfeit of features associated with every available model can be quite confusing and also leaves you with little basis for comparison except its price. But when it comes to buying a new mic, you want to be sure that it does meet your needs. + DURABILITY: Best condenser microphone is the one which works perfectly with the fewest technical problems. If all other features are quite same, then go for that one which has simplest setup. Then you just need to plug and play. + DIRECTIONALITY:All the condenser microphones are provided with different types of directional pattern or polar pattern. For voice over and studio recording purpose a focused directional and cardioid or hyper-cardioid polar pattern would be ideal. Select the one which perfectly suits your needs. 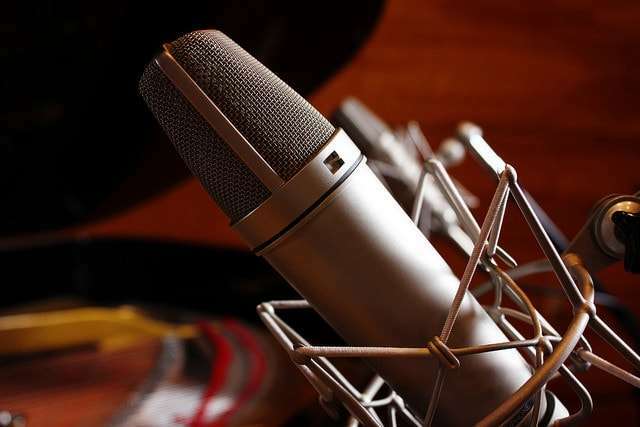 + PRICE:The best condenser microphone for you does not necessarily be the most expensive one. Everybody has a different perspective, go for that one which is affordable as well as gets the job done. The Audio-Technica AT2020 is an excellent quality cardioid condenser microphone meets every aspect that a good vocal is looking for. 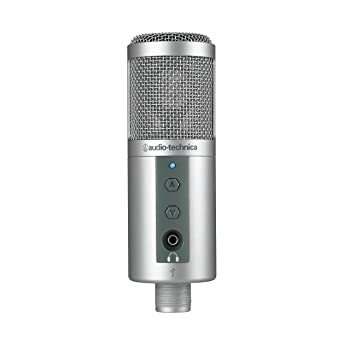 Despite its’ low price this microphone delivers clean, crisp and a very mature sound both on vocals and on instruments. As a vocal mic, it gives a little airy sound which added with a preamp or compressor plugin of choice and a kind of lower mid-range warmth that flatters most vocalists. I particularly liked this mic, because it delivers a well-balanced sound both on voice and on acoustic guitar. Considering the price of this condenser microphone, I can say that it won’t disappoint you. The MXL 990 Condenser Microphone has an attractive vintage body with a champagne finish which gives it a quite stubby profile. Its’ large sputtered diaphragm creates a professional sound suited for both analogue and digital recording. MXL 990 delivers better range (30Hz – 20kHz) frequency response ideal for lead and background vocal. The best thing about this mic is that it can clearly catch low tunes, which most mics of this range couldn’t. A mic with this quality and a decent price is a good deal. But remember this microphone requires phantom power, so make sure that your interface delivers it before purchasing. This MXL 770 Cardioid Condenser is a small diaphragm studio condenser microphone, can capture clearly all softly spoken words. Its’ Pop Filter allow you to focus on the aesthetics of the read. MXL 770 is suitable for both single and multi-voice recording; it is also capable of capturing instruments like strings and pianos. If you’re an amateur or new musician looking for an inexpensive but a quality studio condenser microphone, then this one is for you. You can also use this microphone for Voice – Over and Radio Broadcasting, it’s just too good. Technica ATR 2500 is fairly a nice condenser microphone. Though it provides 30Hz – 15kHz frequency response which does not seem to be the best, but when listening to the microphone, it sounds quite great. This Audio-Technica ATR2500 is ideal for studio recording, podcasting, and voiceover use. The best thing with this mic is it plugs right into your computers’ USB port and performs seamlessly with your favorite recording software. ATR 2500 microphone enables with polar pattern (fairly directional) which reduces picking up of unwanted sounds from the surroundings. 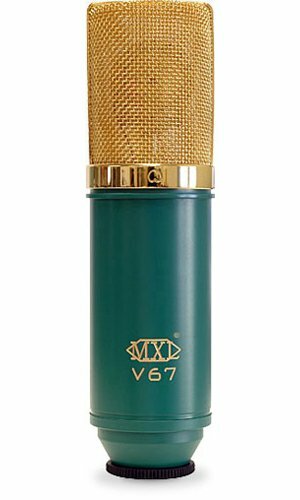 The MXL V67G has large diaphragm cardioid FET condenser, solid state circuitry to mimic valve sonic qualities which are specially designed for vocals. V67G is equipped with a transformer coupled output for an open and pure sound. Its’ distinctive vintage body and gold-plated round grill make it quite attractive. One unique feature of V67G is that you can change this cardioid mic into an Omni mic which makes it an excellent value for money. Though I won’t say V67G is an outstanding condenser mic, but you need to understand that, you get what you pay for. MXL V67G delivers sound as good as it looks, but these days we’d expect suspension mounts to be included in the package. Behringer C-2 is a matched pair of small diaphragm condenser microphones ideal for stereo recording, acoustic guitars, overhead drum studio and live applications. These C-2 microphones are specially designed to capture the performance of piano, choir and any other vocal or acoustic sound source to deliver an amazing true to life sound. When you connect these twin pro caliber C-2 mics with your system, it will give an exceptionally flat frequency response (1kHz – 8kHz), which means you will be able to get a brighter sound that is required for overhead miking and cymbals. This microphone is also covered with a three-year warranty which makes it an ideal for you. Personally, I would recommend this because when it comes to capturing amazing sound, nothing in this range comes closer to the Behringer C-2 microphones for its sonic accuracy and versatility. 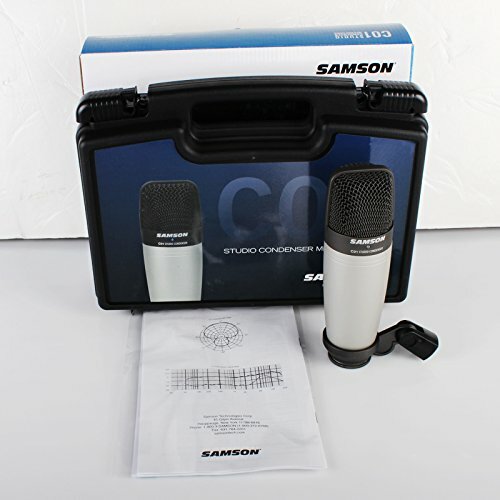 Samson C01 is equipped with a large diaphragm (3 microns thick, gold sputtered) condenser capsule which is capable of producing detailed and clear recordings of sensitive acoustic instruments like piano, guitar, etc. C01 is also very impressive for tracking vocals. It is a genuine multi-purpose microphone produces outstanding sound effects. Samson C01 is also featured highly directional pickup pattern that allows it to record what you point it at while rejecting off-axis sounds. 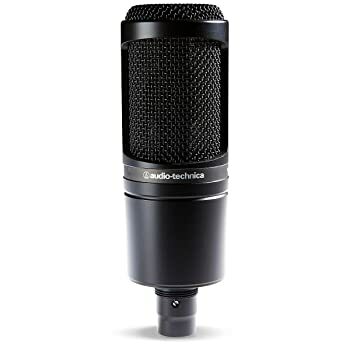 A gentle low-frequency roll off, and a high-end response (40Hz to 18kHz) makes it an ideal microphone for home studio, hip-hop and voice overs. Though its price is well under the price of most dynamic microphones, but it does not any question mark on its quality. If you want a versatile recording solution for your home studio within budget, then you can grab it. All the condenser microphones listed above are below $100 (price based on the date the article is published), performs like that of a much more expensive piece. Sometimes lower priced model delivers a great sound surprisingly. First decide the features you need in your microphone and then choose your model and read its related reviews before making any order.